All Nezperce homes currently listed for sale in Nezperce as of 04/23/2019 are shown below. You can change the search criteria at any time by pressing the 'Change Search' button below. If you have any questions or you would like more information about any Nezperce homes for sale or other Nezperce real estate, please contact us and one of our knowledgeable Nezperce REALTORS® would be pleased to assist you. "HOMESTEAD with 3 Homes! Hunting Lodge? 207 PRIVATE ACs adjacent to public access! Set for OFF-GRID, the Main Home boasts a NEW KITCHEN & 6 BEDROOMS. 2 WELLS, Quonset, Pole Barn, Out buildings, till-able land, pasture, garden area, fruit trees, & gorgeous views. The Original Home has INCOME POTENTIAL, or use as a home for extended family. There is also a 4 BD 1999 Fleetwood Home! PROPERTY CAN BE SPLIT! Main home + 186 ACs for $497k; the 1999 MF Home + 2 ACs for $175k; & the Original Home + 19 Ac"
"Looking for a 3 FAMILY HOMESTEAD? Maybe a Hunting Lodge? 207 PRIVATE Acres adjacent to 3k ACRES public access! Set for OFF-GRID, the Main Home was added onto in 1999 & has a brand NEW KITCHEN & 6 BEDROOMS - plenty of sq ft to stretch out. The Original Homestead Home has INCOME POTENTIAL, or use as a home for extended family. There is also a 4 BD 1999 Fleetwood Home! 2 WELLS, Quonset, Pole Barn, Out buildings, till-able land, pasture, garden area, fruit trees, & gorgeous views. Come Home Sweet Ho"
"186 Acres Set for OFF-GRID, This Amazing Home has a brand NEW KITCHEN & 6 BEDROOMS & plenty of sq ft to stretch out. Wrap around deck to enjoy the view. 2 WELLS, Large Quonset, Pole Barn, Out buildings, till-able land, pasture, garden area, fruit trees, 2 Car Garage, 2 Woodstoves, one with Cook top and Oven, Battery Backup system. Natural light galore in the home with lots of windows and solar tubes." 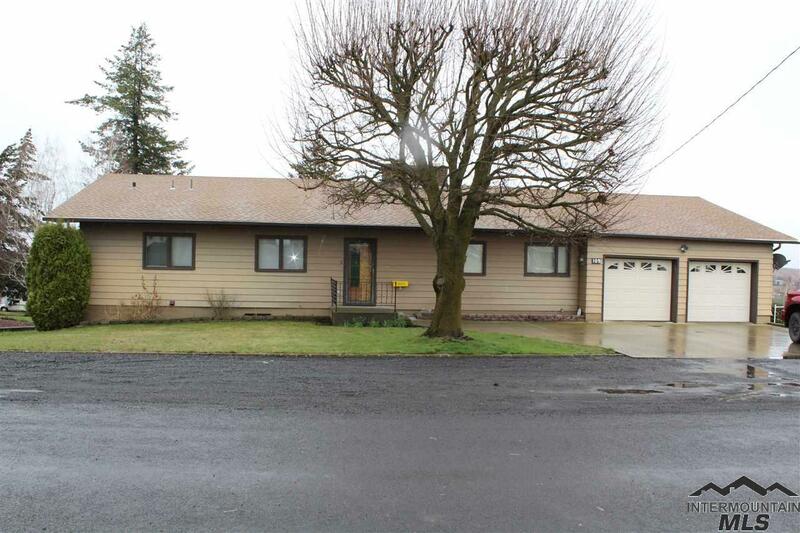 "Your new home awaits with this 3 bed, 1.75 bath home located in Nezperce, ID. This home offers over 2800 sqft of living space, main floor laundry, and a new pellet stove in the main living area. Other updates include a new new tile and backslash, new heat pump, and new window coverings. Out side you'll have an attached 2 car garage, raised planters, and a 30x40 shop with concrete floor and electrical installed. Set up your showing today to see all that this home has to offer." "Don't miss out on this Gem! Located in the friendly town of Nezperce, Idaho, this house was built to last! Walking distance to the school and community pool. Spacious and inviting, this is a great house for entertaining. Meticulous yard with alley access! Downstairs boasts a 2nd kitchen and 13x24 workshop complete with garage door to the back yard! Possibly able to make the downstairs into a separate apartment or living quarters. Priced right, this one won't last long!!" "The possibilities are endless! 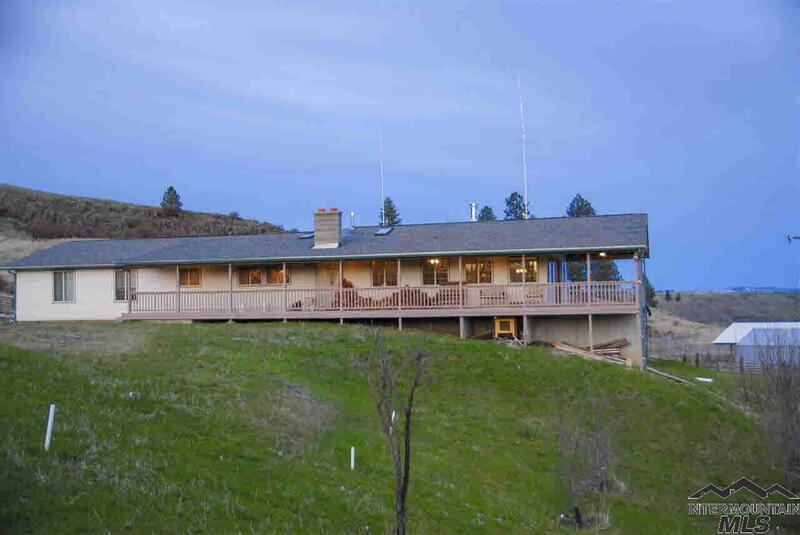 This home has the view and Acreage to create what ever your heart desires. Approx 7 Tillable acres or room for livestock. Located close to wildlife Sanctuary giving you plenty of room to take a ride on the horses. All one level living! Open floor concept! Big Mud room/laundry room. Updated Electrical panel with Lightning rod Protection. Reinsulated attic and crawl space. Gas wall Heater with Back up Wood Stove! A Rare Gem in this area." 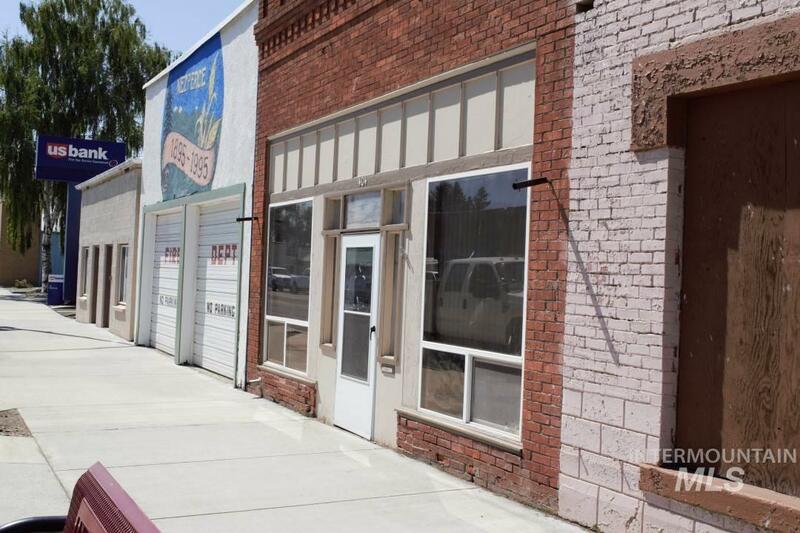 "Nice recently remodeled two bedroom apartment with main street and alley way access. !/2 block from clinic, grocery store and resteraunt. no yard to maintain but does have a patio."